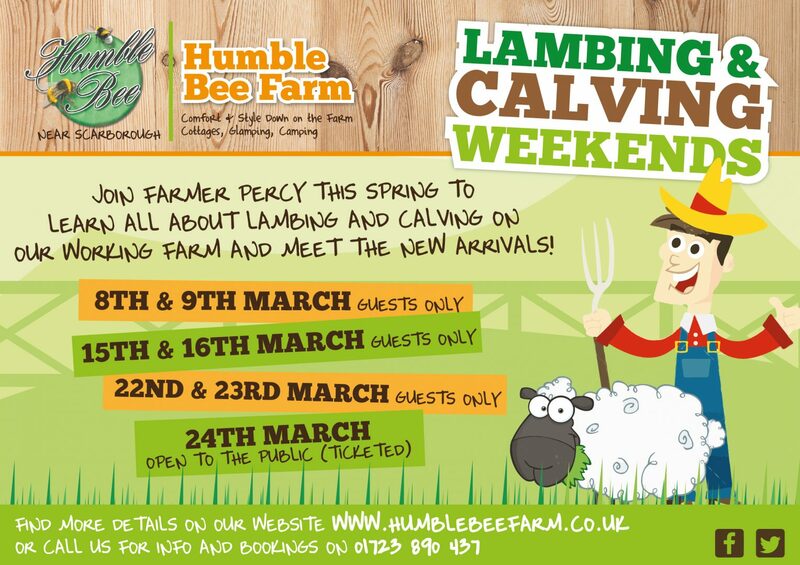 Join us at Humble Bee Farm for our Lambing & Calving Open Day on Sunday 24th March 2019. There will be two opportunities to visit the lambing bard and hear farmer Percy describe how busy lambing season can be. Guests can book online for either an 11am slot or a 2pm slot with a ticket price of just £2.50 per person (plus small booking fee). Places are limited. 2 years old and under 2’s go FREE! The event is set to include a petting area for newborn lambs, a Q&A session with a local vet, a quiz sheet and a chance to explore Humble Bee’s Nature Trail. Julia Warters, co-owner of Humble Bee Farm, said: “Lambing and calving is one of our busiest times of year here at Humble Bee. “We are very much looking forward to welcoming visitors to our farm for this rare opportunity to learn about a key time in the farming year.